We are counting down to Halloween at our house and this Devilishly Spicy Ghoul-ash is definitely on the menu for the big day. I always make the kids eat a hearty dinner before heading out in the cold to "trick-or-treat". 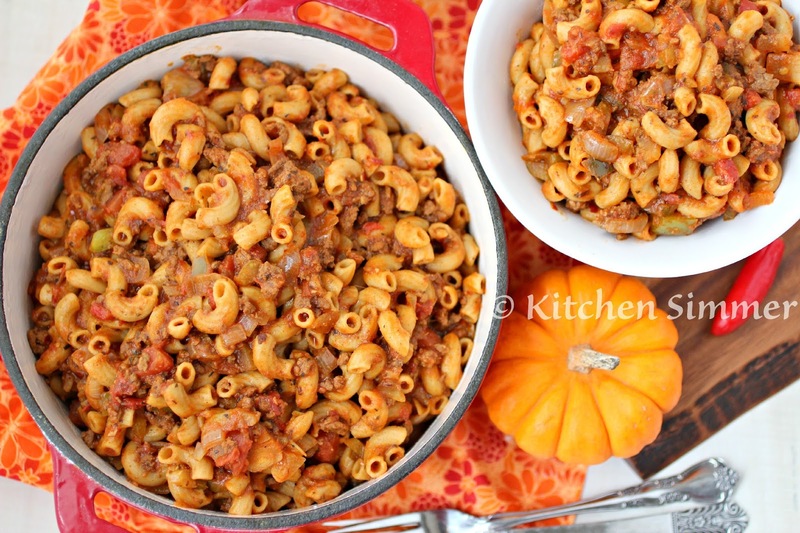 American style goulash is a favorite dish for my kids and I also love it because it's so easy to make since it all comes together in one pot. 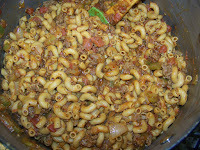 To make this a one pot dish I first boil the pasta and then reuse the same pot to make the goulash. The last thing I want to do is have a lot of pots and pans to wash when I have to hand out candy on Halloween. American Goulash is basically a beef and macaroni dish with paprika and tomato sauce. 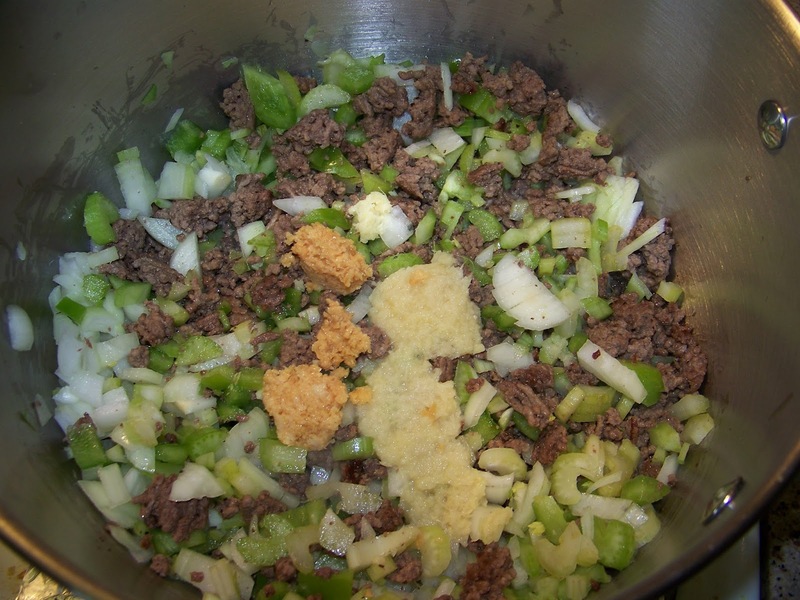 I added some celery, green pepper and onions to make it a little more hearty and stretch out the dish. Then I made it devilishly spicy by adding jalapeno peppers, red pepper flakes, and Sriracha sauce. It's also has some Asian flavors in it with the hoisin sauce, soy sauce and fresh ginger. I know my kids (and my hubby) will each eat a big bowl before going "trick-or-treating" this year. I also know they will be very hungry after all that walking around for free candy in our neighborhood. Luckily this goulash reheats quickly and they can each enjoy a second bowl once they come home. Since I will be staying home and handing out candy, I won't have the excuse to eat two bowls of this yummy "ghoul-ash". I will definitely be enjoying the leftovers (if they are any) the next day. 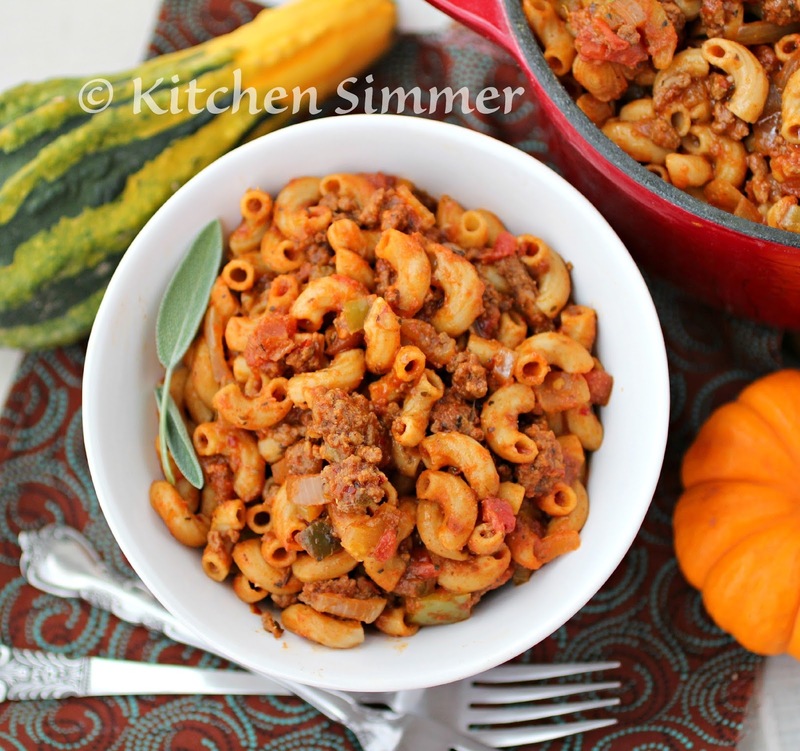 Making a big pot of this American style goulash is a fun and easy way to get dinner on the table when we are all busy getting into our costumes for the big day. Have a safe and happy Halloween everyone!! 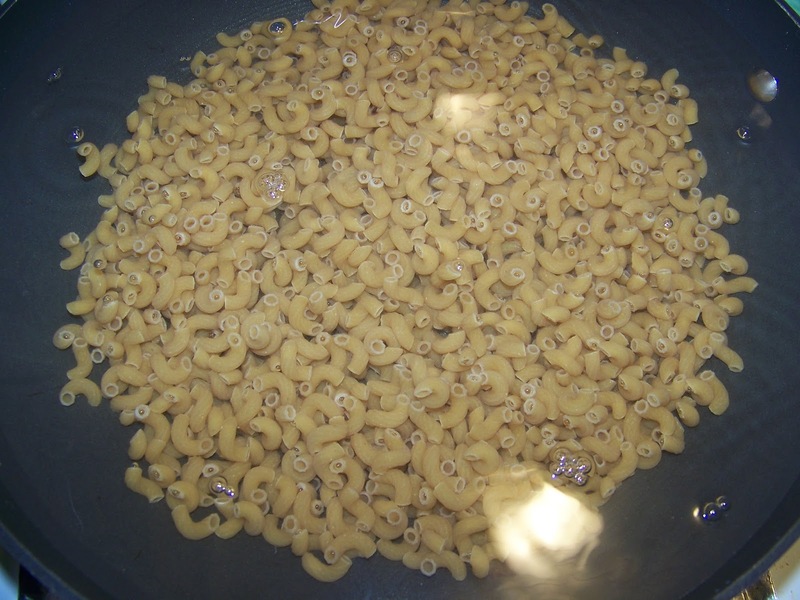 Step 1: Cook elbow macaroni in salted water until 80% cooked through. Before draining pasta reserve 2 cups of the pasta cooking water. Drain pasta and reserve until later. 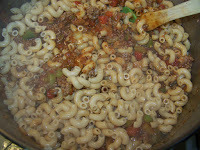 Step 2: In the same pot you cooked pasta, brown the ground beef well on medium high heat. Once beef is starting to brown, season with a little salt and black pepper. 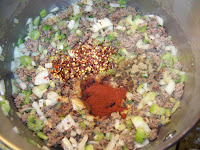 Then add the celery, onion, jalapeno peppers and bell peppers to the ground beef with the garlic and ginger. Season all ingredients lightly with a little salt and black pepper and saute for another 2-3 minutes. 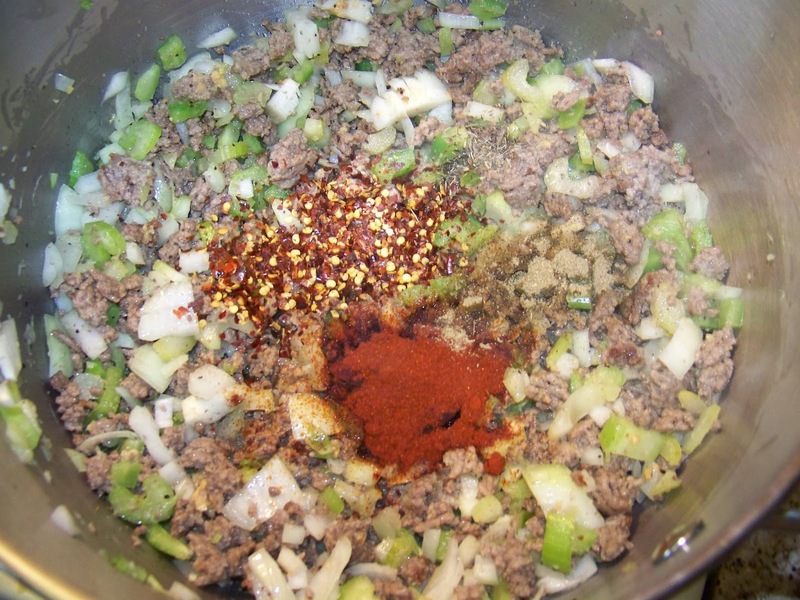 Next add the paprika, red chili flakes, dried thyme, basil, oregano and poultry seasoning. 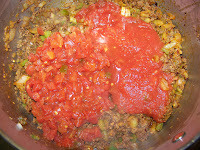 Cook the spices with the meat mixture for a minute and add the cans of tomatoes next with a little sugar if your tomatoes sauce is tart. 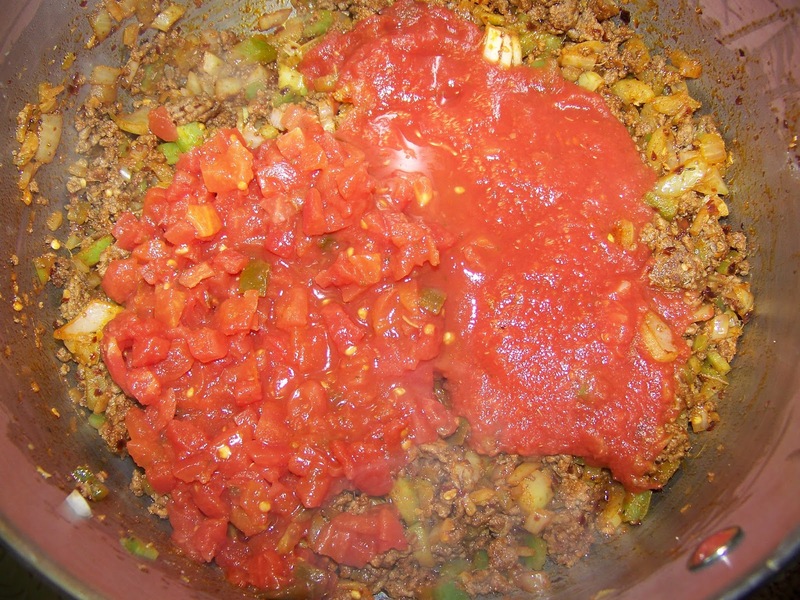 Then add the pasta water (1 cup first to start) and the hoisin sauce, soy sauce and sriracha sauce. Next add the cooked pasta and mix well (add some more pasta water if you don't have enough sauce to cook the pasta through). 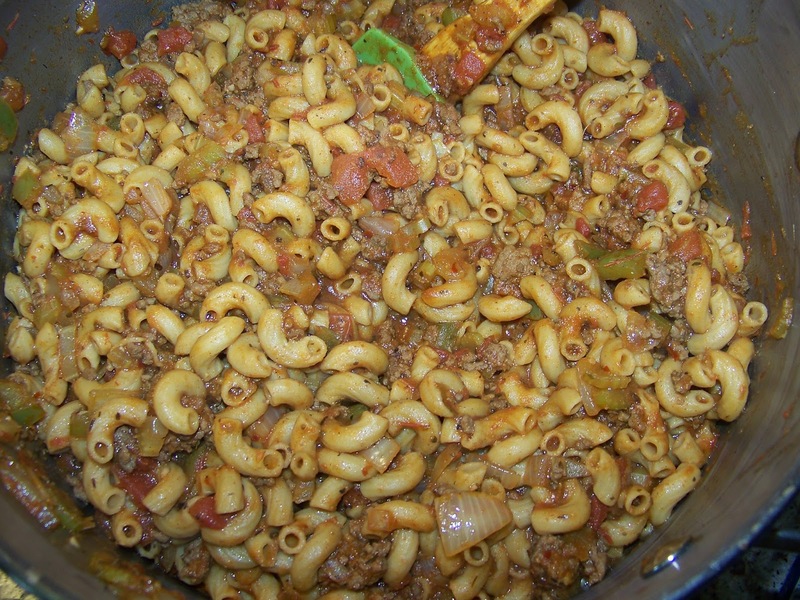 Lower the heat to medium low and finish cooking the pasta in the sauce/meat mixture for another 5 minutes. Serve hot. Enjoy. I am so with you--the last thing I want is lots of dishes to do on Halloween. This looks like a great meal to fuel any little trick-or treater up! 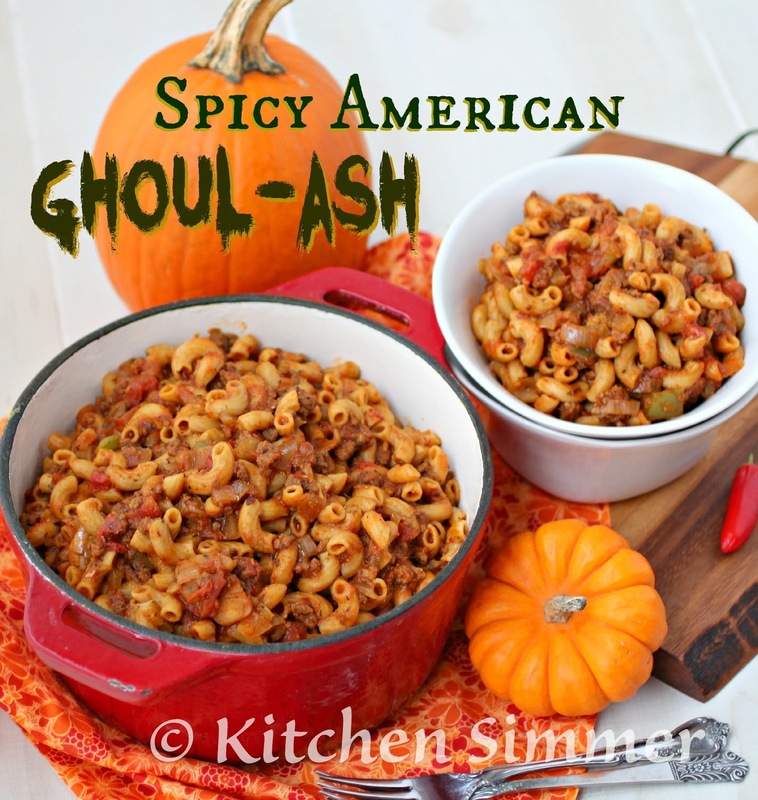 I feel like the word "devilishly" is just daring me to try this spicy dish out ;) Halloween always seems to be so bone cold and dreary, I'd love a big bowl of this before heading out! Oh I love this so much! It looks so comforting! I love that you added chili flakes to this! fantastic Ramona! I haven't made goulash in ages! Yours looks amazing and perfect name twist for Halloween! Making this tonight! Can't wait! Smells wonderful in here!